Tennis for Two was the world’s first video game. When it debuted at the Brookhaven National Laboratory’s public exhibition in 1958, its goals and actions were familiar to visitors because it simulated a sport they already understood. Though rudimentary, the ball and net depicted on an oscilloscope were enough to intuit a game of tennis. Yet the experience of playing Tennis for Two was completely different from playing an actual tennis match. Tennis for Two did not directly influence the video game industry, but it marks the beginning of a long relationship between sports and video games. A Whole Different Ball Game: Playing Through 60 Years of Sports Video Games presents a selection of more than 40 playable sports video games spanning the last six decades, examining the complex relationships between game, sport, media, and culture. Despite the widespread prevalence of video games today, sports are still the games that Americans most regularly encounter, whether on television, via apparel and other consumer goods, or through play, including organized leagues and pickup games. Video game developers leverage this familiarity by producing some of the highest grossing titles on the market. The most lucrative professional sports leagues—NFL, NBA, FIFA, MLB, and NHL—are closely involved in the annual production of games that simulate the rules, rosters, and visual experiences of their play and, just as important, their televised spectacle. Thousands of video games over the industry’s 60-year history have adapted these and dozens of other sports, sometimes exaggerating or elaborating on their familiar elements. The exhibition considers what it means for full-body sports to be transposed to screens and controllers in the service of realism, who is or isn’t represented in sports video games, the ways broadcast sports and video games reflect one another, and the primacy of statistics in professional sports and sports simulators. 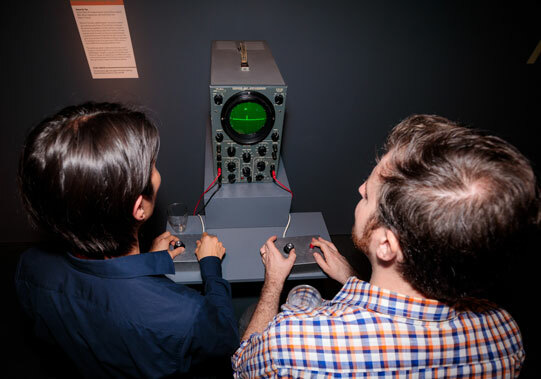 The exhibition also considers how video games have recently become sports themselves, creating passionate communities and cultures of competition that were once only the domain of sports.